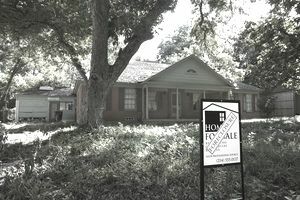 Home buyers who want a good deal in real estate invariably think first about buying a foreclosure. They think, sure, I'll do a little work to get a cheap price. They believe banks are desperate to dump these awful homes, and that's not true, either. The homeowner either abandoned the home or voluntarily deeded the home to the bank. You will hear the term the bank taking the property back, but the bank never owned the property in the first place, so the bank can't take back something the bank did not own. The bank foreclosed on the mortgage or trust deed and seized the home. There is a difference. Foreclosure proceedings vary from state to state. In states where mortgages are used, homeowners can end up staying in the property for almost a year; whereas, in states where trust deeds are used, a seller has less than four months before the trustee's sale. Determine whether you're the type of person who can easily take advantage of a seller's misfortune under these circumstances and/or put a family out on the street. Oh, critics will argue it's just business and sellers deserve what they get, even if it's five cents on the dollar. Others will feign compassion and trick themselves into believing they are "helping" the homeowners avoid further embarrassment, but deep inside yourself, you know that's not true. The problem with buying a house sight unseen is you can't calculate how much it will cost to improve the structure or bring it up to habitable standards. Nor do you know if the occupant will retaliate and destroy the interior.